We ask our clients to provide us with feedback after we conclude a case so that we can continue to improve our services. We share these testimonials with you so you can learn more about how we work with clients and whether we would be a good fit for you. They are the people to go to to make sure that your wrongs have been righted, and bring justice you in the most efficient way. What sets Bob and Kim apart is the fact that they are who they say they are. They truly are interested in their clients, and seeking the best possible outcome for their clients. They looked us in the eye when they spoke to us, and showed genuine care for what my daughter was going through. They were very kind to us. When I had a stupid question. I always said, “Hey, Bob, I have a dumb question.” He always said, “No question’s dumb. Just ask. I’ll answer. 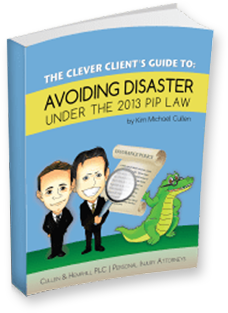 Kim Cullen was able to take my case and help me. The outcome was very, very, very great for me. I was just very thankful that Kim was able to do the job that he did for me. I’m just grateful and thankful for this law firm for being there for me and going the extra mile. I’m really, really, really pleased. Posted on 04/03/2019 Are The Dangers Or Defects Of Quick Release Levers On Britax BOB Strollers Being Masked By Politics? ?What is a motion to dismiss in a personal injury case? 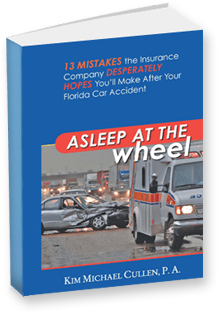 ?How will you pay your ambulance bill after a Florida car crash?